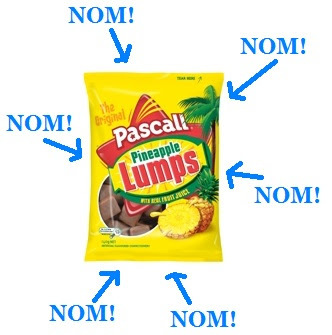 Hello my lovely pineapple lumps! Today’s blog post is going to be something a little different and a little special in honour of my amazingly talented friend Jessa’s approaching debut book release! I’m ridiculously excited about this because a) Jessa is awesome, and b) our conversations about books n stuff have led me to assume that Jessa’s new book Ever will inevitably become my new favourite young adult fiction novel. Will it rival the awesomeness of Vampire Academy? I believe so! In all fairness to Richelle Mead, I should probably wait to read Ever before making such wild statements, but I don’t think I’m being unreasonably preemptive. To find out for yourself, you can pre-order Ever here. You can also find more about Jessa Russo at her own blog here. 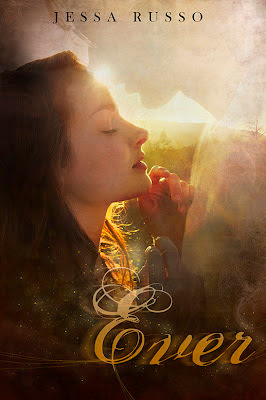 To celebrate Ever‘s release, Jessa is running a blog hop. What’s a blog hop? I have no idea, but I’m hoping there are bunnies at some point. 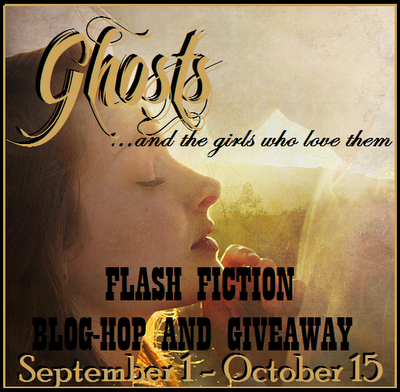 Now we’ve got our rabbits covered, what I do know is that in this particular blog hop Jessa has asked us to write a ghost story between 300 and 1000 words long with the theme: Ghosts (and the girls who love them). We then have a chance to win things including a copy of Jessa’s new novel! Below is my blog hop entry. I hope you like it! If you do, you can vote for my entry by commenting on this post. For your vote to count, you must have the word “VOTE” in your comment. 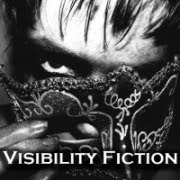 Underneath my story you will also find links to all the other blog hop entries. Check them out!! I first met Derek the day he tripped through a wall of the local morgue and straight into the ER waiting room. I was being treated for a broken wrist, the result of falling up a flight of stairs – a frequent occurrence for many, though only the most uncoordinated. I had been unaware ghosts could trip over their own feet, but Derek proved me wrong. As he plunged head over heals, across the room and through oblivious strangers, I knew we were meant to be. I soon discovered there were definite benefits to dating a ghost. For one thing, sneaking him past my parents was never a problem. Not that they had much to worry about, since the physical side of our love life ultimately proved somewhat wanting. Attempts at stolen kisses ended with me stumbling through empty air, not to mention that one concussion when an attempt at passionate embrace had me crashing into nearby furniture. Derek always tried his hardest to keep the romance alive, so to speak. On more than one occasion, I found him in the garden, furiously and futilely swiping his hands through rose stems in an attempt to bring me a posy. It’s the thought that counts, no doubt, but I didn’t find that a great consolation on discovering my boyfriend manically shouting at rose bushes. Thank goodness the neighbours couldn’t see. I’ll admit Derek was never the smartest ghost in the graveyard, but I wasn’t dating him for his brains. Given his ghostly transparency, I wasn’t dating him for his looks either. Once he tried to hail me a taxi, but, sadly if not surprisingly, the taxi failed to notice Derek and drove straight through him. He was coughing up smoky bits of himself for days after that. Unattractive, to say the least. Practically speaking, it was hard to see why I kept him around. 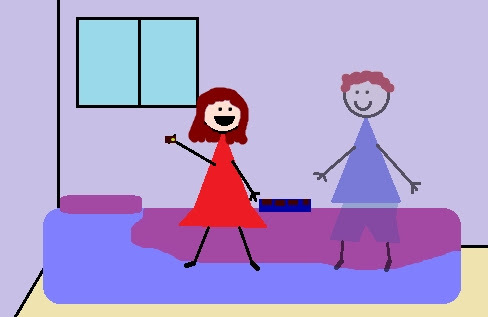 He was certainly no help opening jar lids, and he was completely useless when it came to removing spiders, which had always been my primary prerequisite task for any boyfriend. Unable to pick up the spider, or any spider removal devices, he instead attempted to scare away the fiends by shouting “Boo!” I was sure I could see their evil, little, furry faces laughing back. At times like this, I found our relationship a deep disappointment. However, while the downsides to dating a ghost were obvious and many, the perks outweighed these in quality if not quantity. Derek never once messed with the TV remote, or left the toilet seat up. More importantly, he never ever stole the Turkish Delight or Peppermint Creams from my chocolate box selections. And, let’s be honest, that’s all a girl really wants. My awesomeness intimidates some people, others just point and laugh. VOTE. VOTE. VOTE. Is that enough mention of the word vote? I love the story. Ah, ghostly love…. 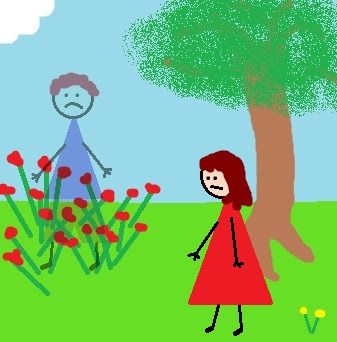 The pitfalls of having a ghost called Derek as a boyfriend, a charming read by Holly! vote! This was a refreshing change of stories. I loved the light hearted approach and the humor was great! Thanks Talynn. Isn’t this blog hop so fun?!?! Thanks for stopping by. VOTE. Can’t get enough of that dry humour. Vote for Holly and her ghostly love story. OMG! Holly! I was smiling the entire time I read this!!! Fantastic! So glad you entered! Good luck! All the votes, x infinity. Thanks Cristian, so nice of you to pop by! I cant wait to read Ever. Thanks stinky sister poo face. Ever is gonna be awesome. That was AWESOME. haha. Definitely one of my favorite stories on the blog hop. And, I must say, I’m really glad someone decided to include a rabbit because the title “blog hop” basically begs for bunnies and I was highly disappointed by the previous lack of them. I came over from the blog hop cause i’m checking out everyone’s entries. I’m staying as a follower because you are hilarious. Btw, while I have you here, good luck with your crayons. I think the smashed car is a small price to pay for the necessary instruments needed to write what is sure to be the most epic masterpiece of our time. I’m loving this blog hop (and I love my blog hop bunny 😛 ). It is so much fun and such a great way to meet other writers. OH! Nice to meet you too!! Well done, you should vote for it. Everyone should vote for this. Thanks for the great read, Holly – if I VOTE will I get more???? Thanks to everyone who voted!! And to Jessa for the fun.